I went to “TORINOICH” in Asakusa. 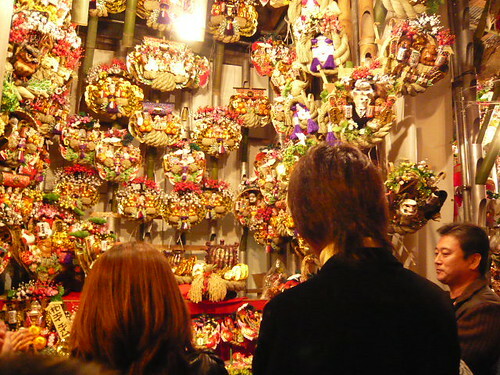 “TORINOICH” is an anual festival held in many places around Tokyo in Nov. And the most famous is this one at Asakusa. 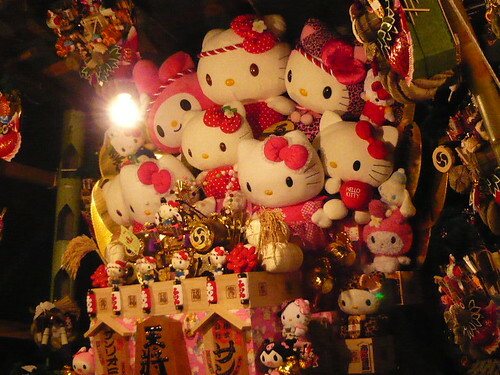 I found Hello-Kitty’s bamboo rake. 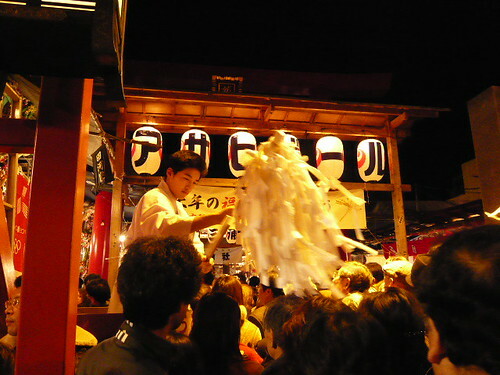 A special thing on Torinoichi was “Bamboo Rake for good luck”. A highly decorated bamboo rake was particular popular as goods to bring happiness and prosperity in business. 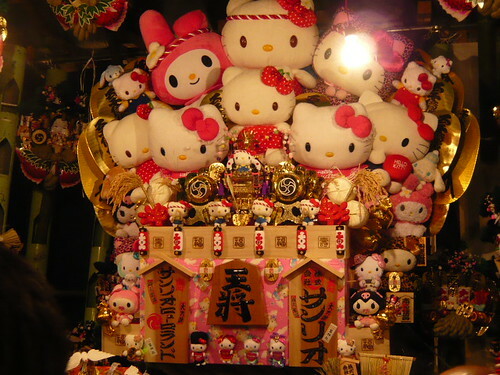 That seemed to be contributed by Hello-Kitty’s company “Sanrio”. Japan is also in resession time. Many people there prayed thier business success on next year. wow, it looks so elaborate!